We’ve been talking about different ways to enjoy your motorcycle and helping others is one of the best ways. This time of year a lot of bikers not only think about getting in some great riding but also about doing good for others. It’s a way that bikers bond together as a community and help out where it’s needed. Participating in a biker charity event is like being with good friends you never knew you had. Bikers have big hearts and being a part of that caring spirit is another way to enjoy being a biker. Biker Rags is very fortunate and proud to be one of the hosts for this year’s Channon & Chris Memorial Ride on Saturday, June 16th. The history behind the ride is well known- but if you are new to the area or simply unsure here are two links to give you a brief background: Wikipedia reference Click Here, and from The Daily Times Click Here. The Channon & Chris Memorial Ride is a fantastic fundraising event with a beautiful spirit behind it. All of this year’s proceeds go to UT Hospital Neonatal Department and St. Jude Hospital. Put this one on your calendar- it’s a MUST DO EVENT. Registration is at Biker Rags from 9am to 1pm with FREE food for everyone. Grand Marshall Rusty Wallace will be judging the 1st Annual Channon & Chris Memorial Bike Show while at Biker Rags and will be available for autographs and photo ops. More info is detailed below on the two fliers. What a great way to enjoy your motorcycle and give back to the community! Hope to see you there. 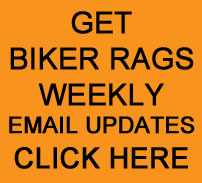 This entry was posted in Charity Ride, Enjoying Your Motorcycle and tagged Biker Rags, Channon and Chris Memorial Ride, Charity Ride, Enjoying Your Motorcycle, Rusty Wallace. Bookmark the permalink.